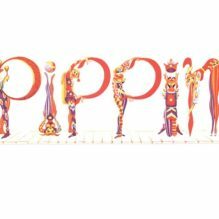 Youth on Stage auditions for the summer musical “Pippin” will be held at 6 p.m. Tuesday and Wednesday, May 28 and 29, at the theater. Callbacks will be held Thursday, May 30, at the Mattituck American Legion, 6000 Wickham Avenue. In order to participate, you must be between ages 14 AND 22. All roles are open.Please prepare 16-32 bars of music from a Broadway show that shows off your voice. You must have sheet music in order to audition. If you need help finding sheet music, use the resources listed below. You may sing from the show, in which case sheet music will be provided. An accompanist will also be provided. There will be a dance portion; dress accordingly and wear/bring comfortable shoes you are able to move in. Please listen to/watch clips of the show prior to auditions. You will note this is a fun, upbeat show, with a great story line. Rehearsals will be Sundays to Thursdays starting June 3. Performances are set for Thursdays to Sundays, July 18 to Aug. 4. Please bring any known conflicts to auditions.